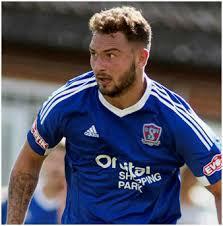 Thatcham Town FC are pleased to announce the signing of Jack Alexander. Originally a right-back, Alexander is also comfortable playing at left-back and central midfield. He recently left Swindon Supermarine after making approximately 60 appearances for the Webbs Wood Stadium outfit. As a youngster Alexander won 11 Scotland Youth international caps and played for Liverpool and Bristol City at Under 18 level. He then joined Eastleigh where he enjoyed loan spells with AFC Totton and Dorchester Town, and has also made a handful of appearances for Halesowen Town in the Northern League Premier Division. Good luck and welcome to the club, Jack.  Thatcham Town 3 Cinderford Town 3 Thatcham Town dig in and come back from behind to draw 3-3 against a strong Cinderford Town team. Chalvey Sports 1 Thatcham Town Development 3  Development team win away to keep up the pace in the league.